With Guy Fawkes night already feeling like a warm and distant memory, many may think that the firework season has calmed down for another year. This couldn’t be further from the truth! 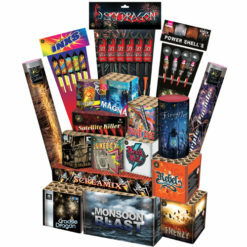 What we love most about fireworks is how they can complement almost every special occasion. Looking for inspiration? 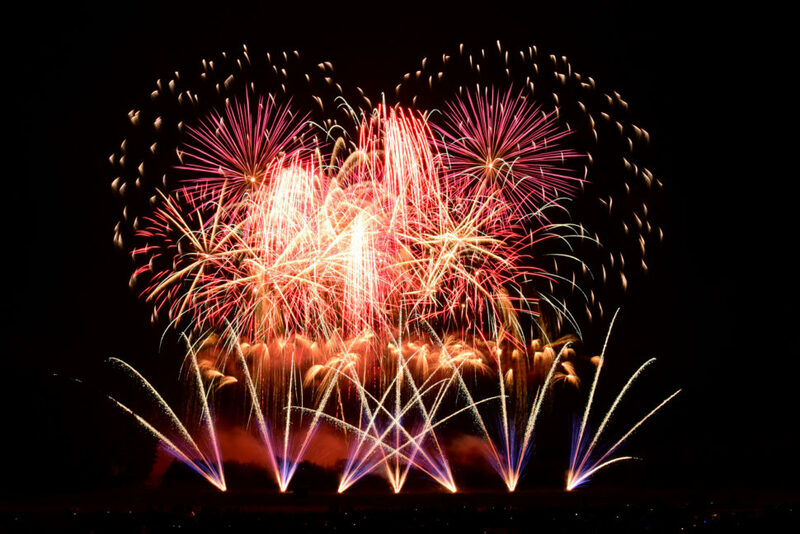 We have picked out the top 5 fireworks occasions that we love to see celebrated. Our customers find that whatever their need, they will find a happy and bespoke service waiting for them all year round. We just about manage to catch our breath from bonfire night, and then before we know it New Year’s Eve is upon us! New Year’s is an occasion that is celebrated across the world in many different ways, and has become renowned for its glitter and sparkle. Whether you love a large party, or you prefer simply gathering at home with family and friends, finishing your New Year’s countdown with a firework celebration will complete your night. 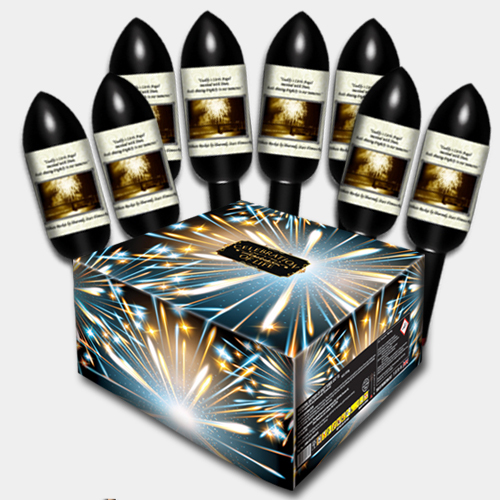 With the year racing to a close, now is the perfect time to take a look at our Special Offers and find out how we can help your fireworks this December. We would suggest buying one single fuse , which will be impressive, easy to light and won’t leave you and your guests standing around outside for too long. You can legally let off fireworks until 1am on New Year’s Eve, however it is always a good idea to advise neighbours of your plans so they aren’t surprised. Throughout all four seasons, we work year-round to help brides and grooms add that extra ‘wow’ factor to their special day. What better way to celebrate in style than to have that picture-perfect moment that is guaranteed to impress your guests? From heart-shaped fireworks to shimmering white and gold effects, our stunning fireworks can be designed to suit you as a couple. We can even go that step further to create a dazzling display that matches the beat and tempo of a song, making it perfect for your first dance. Our wedding packages are all bespokely written, fired by our professional team, and start from just £695. Please get in touch to find out more. 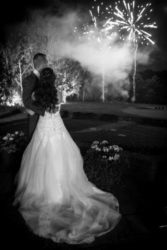 If your wedding day has already passed, then why not consider celebrating your marriage milestones or special birthday with a firework display instead? Similar to our wedding packages, we will bespokely create each fireworks display, so can adapt the fireworks to fit any occasion. If your budget doesn’t stretch as far as having a professional display, please still let us know that you’re interested! Our friendly and experienced team can work to any budget to help create a DIY display which could be lit by a member of your party and our barrages will certainly give an impressive finale to your celebrations. 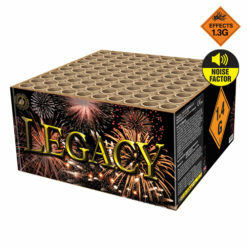 We are market leading in the incorporation of ashes into fireworks and have over 20 years’ expertise in our family-run business. 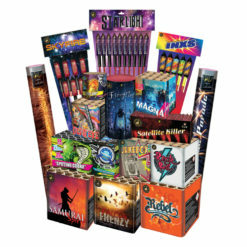 Our aim with the Heavenly Stars Fireworks branch of our business is to give you and your loved one a fitting and wonderful tribute to life. 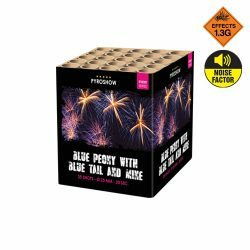 Our range of spectacular self-fire fireworks have been specially designed to incorporate part of your loved one’s ashes for you to fire at your own convenience in a favourite location and can be sent to much of the mainland UK for your ease. We supply all our self-fire firework tributes with all the safety information required to send your loved one’s ashes into the heavens. Many customers have commented on our customer service and the empathy shown during what can be a very distressing time. The rockets and fireworks are a special way to treasure the memory of a loved one. We are also there to help with a professional memorial display. Our firers have been trained to the highest standards and all are qualified to Level 1 or Level 2 of the British Pyrotechnists Association training scheme. 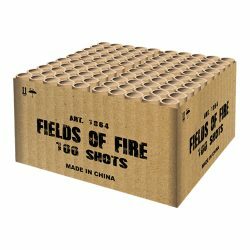 The cost of our professional ashes firework service is fully inclusive of all correspondence, technical discussion and design and includes all materials, equipment and hardware for setting up and firing professional memorial firework display. This complete package will offer peace of mind and assurance. Many couples, who are expecting a baby, often look for a creative way for a gender reveal, and we are here to help celebrate a new life. New for 2018, our Blue and Pink Peonies are simply gorgeous. They bring a burst of colour, and are perfect for that inventive way to reveal your baby’s gender to loved ones. These barrages are part of our new Pro Effect range, and promise you big effects, vibrant colour and big bursting fireworks. 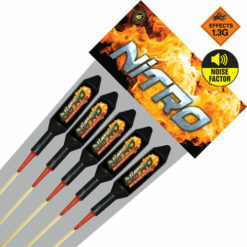 Lasting 20 seconds, you can buy these as a standalone firework, or as the finale of an impressive display. These are the 5 best firework occasions, however the list of possibilities is endless! Birthdays, graduations, engagements… Please get in touch to tell us how you’d like to celebrate that special moment, and we will do all we can to help!